Best Private Planes To Own and Operate! Owning Private Planes is much like owning a car, except a few things are a little bit more expensive. There are also a few mandatory items you will be required to do, per the FAA. Lets take a look at some of the costs associated with one of the first private planes I owned. My first plane was a Piper Colt. This Airplane was built to be a Trainer back in the 1960s. In those days many students cut there teeth on planes like this. With her short wings she had quite a sink rate when landing, so there was no need for flaps. The only thing that would have made it more perfect, was if she had a tail wheel. Many Piper Colts were converted to tail wheel by there owners making them even more fun fly. 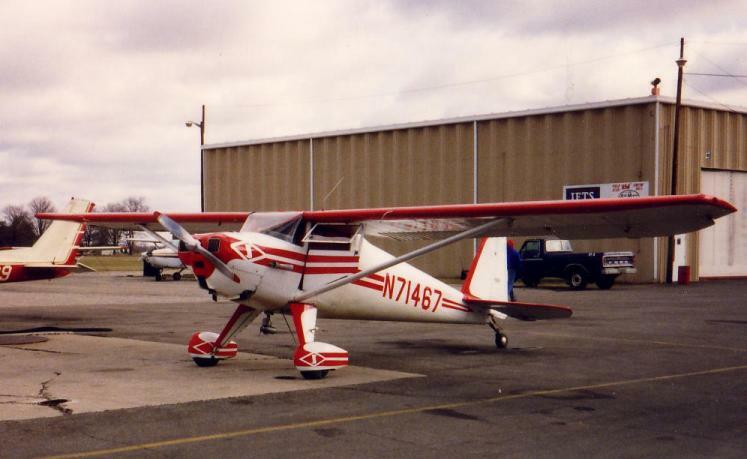 As private planes go, this was my first plane the Classic PA-22-108 Piper Colt, called the "SWAMP LADY. And yes there is a story behind that name. Here are some things you really want to consider before you plan on buying an Airplane. Planes are not just for the wealthy, an average person can more than afford to own one. You just have to choose the right one for you, and do a little research before you jump into one. You have to have Aircraft Insurance, price varies from Country to Country. When I owned the Colt it was $1250.00 per year back in 1991, prices have not changed much. You also have to put so much money aside for every hour you fly, say $10.00 to 15.00. Because eventually the plane or engine will require repairs and upkeep. Then you will have your fuel cost and that will once again this varies from Country to Country. I think 100LL runs around $5.75 to $6.50 per gallon here in the United States. With all private planes you own you are required to have a yearly Inspection performed on the plane by an FAA Certified A&P Mechanic. The average price here would be around $500.00 to a $1000.00 if there are no problems found. This price will vary from Country to Country. Every plane has a (TBO) on the Engines "Time Before Over Haul" This usually runs around 1200 to 2000 hours. Most of the time planes will never reach this time without a repair of some kind like a Top overhaul or perhaps a new cylinder or a sticking valve that will need to be replaced. Then there are the occasional (AD) "Airworthiness Directive" that mandate aircraft owners to make required repairs. Fortunately these do not occur that often but, when purchasing a plane for the first time, check the logs closely for AD entries. Hanger Cost runs anywhere from $100.00 up to $500.00 and more per month depending on what State or Country your in. If you want to save some money keep the plane in an open hanger, they are definitely cheaper. 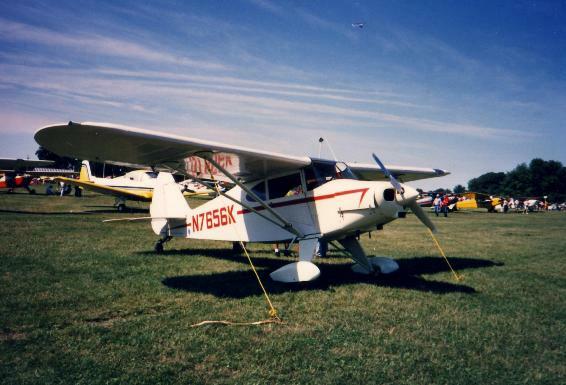 The Piper Colt that I owned had a Lycoming 0-235 108 HP Engine with a TBO of 2000 hours. She was fun, economical and did not require much upkeep to keep her flying . I bought this plane for $10,500.00 and flew it for many years. It's top speed was around 115 MPH and the climb rate was 650 feet per minute. Another real advantage was that it could use Auto Fuel, big savings there! The Colts Gross Weight was 1550 and Empty Weight was 860 and the fuel capacity was 20 gallons. As far as private planes go, the Colt was hard to beat. Out of all the private planes I've talked about so far the PA-22-150 Piper Tri-Pacer, is the simplest to fly. The two planes look almost identical except for the Tri-Pacer seats four, has a larger engine, and is a little bit bigger. If you are the type person who wants a simple and straight forward plane to build time in, then this is the plane for you. The Piper Tri-Pacer is one of the most economical 4 place planes that was ever built. 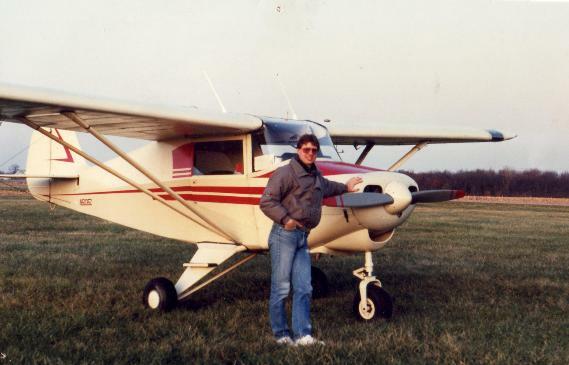 And yes it does look just like the piper colt I use to own and fly in the above picture, this one is just a little bit bigger, seats more and is faster. 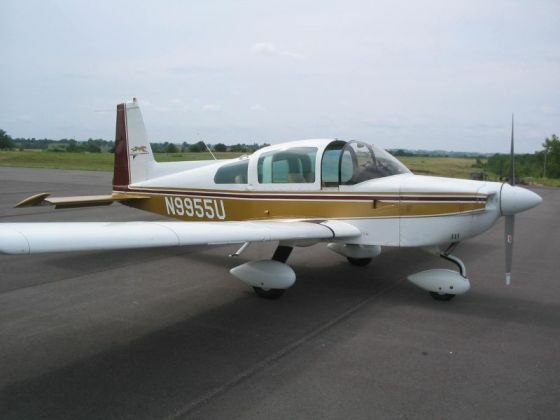 The Piper Tri-Pacer performance specifications are in every way almost identical to the Piper Pacer below. The only difference between the two are that the Tri-Pacer has a nose wheel which is heavy and creates a lot of drag. I know several pilots who own and fly these beautiful planes who just love them. I think this plane is perfect for the new pilot or even the older pilots. You can purchase one of these antique gems for about the price of an average car. Unlike a new car the plane is a whole lot more fun & does not loose it"s value. It will be worth what you payed for it years later, and even more. Planes do not depreciate in value if taken good care of. The next plane I'm going to talk about is the Popular Piper Pacer, now this was and is an amazing airplane! These planes were built back in the 1950s and were not as popular as they are today. You see back then people wanted Tricycle Landing Gear, you know that big bulky nose wheel. But today they are very much in demand for many reasons. Here is a good picture of one, they are a really great looking plane. I personally think they were years ahead of their time. This is a Piper Pacer PA-20-150, 4 place plane. There were only 1,120 pacers built in the 1950s, in 1954 they stopped production of them in favor of the more easy to fly Tri-Pacer. Which was basically the same plane with a Nose wheel instead of a Tail wheel. Today the Piper PA-20 is now the more sought after plane. I think many pilots, including myself find this plane much more appealing and sharp looking without the nose wheel on it.This is why the Pacer is so unique today and popular. Like the Tri-Pacer & Colt this plane can operate in & out of very short fields with great overall utility. As far as private planes go, these three planes would be at the top of my list for a pilot to purchase. The later model PA-22-150 Piper Pacer came with the more powerful 150 hp Lycoming O-320-A1A Engine. These engines had a 1200 hr TBO with a max speed of 139 mph, Cruise speed of 123 mph, and a stall speed of 49 mph. They held 36 gallons of fuel in two wing tanks, burned 9.0 gallons per hour and with a 725 fpm climb rate. There Empty weight was 1100 lbs and Gross weight was 2000 and could hold 100 lbs of baggage.These planes can be bought between $20,000 to $25,000 fully restored if you take your time shopping . The Super Cub is hard to beat, there pretty quick, agile and can take off and land just about anywhere. This is one of the reasons they make such great Bush Planes. All you do is put the oversize tires on them, floats, or even skis and you are ready to go! There economical to fly, have a good range and easy to work on and maintain. The Super Cub is constructed out of steel tube & fabric. But let me assure you they are one well built and strong plane. These private planes are flown all over the world in all climates. 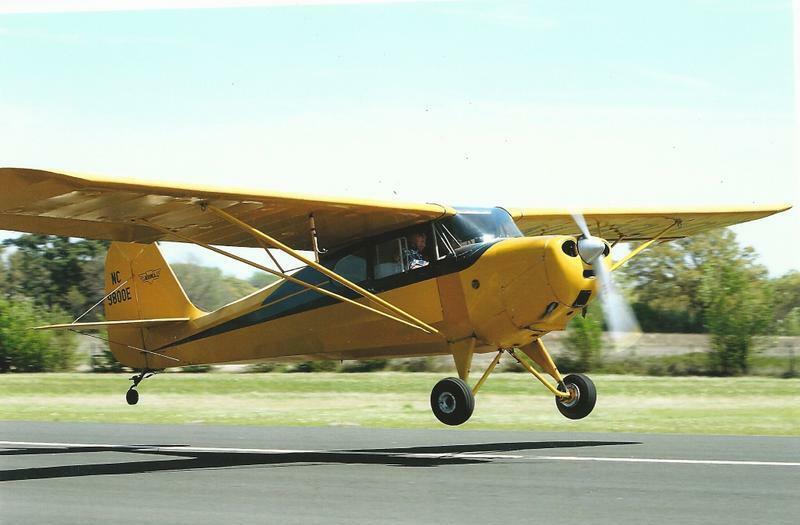 The Super Cub is one of the great private planes to own & Fly. 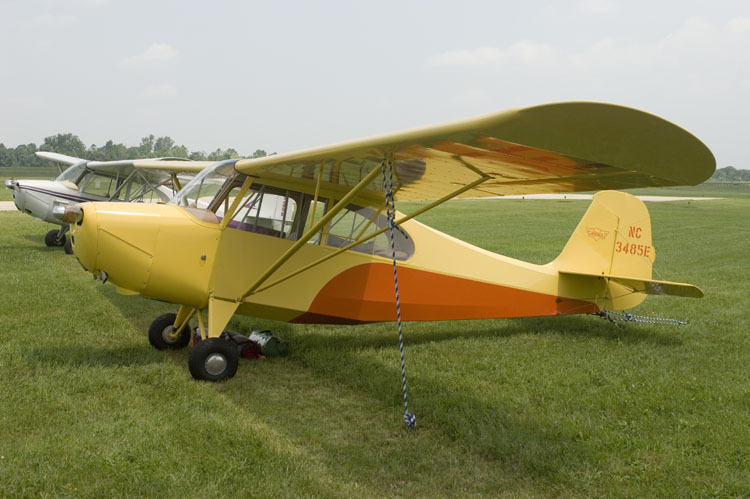 The PA-18 Super Cub went into production in 1949, over 9,000 were built into the early 1980s. The plane was very similar in design to the original Piper Cub except the Airframe was completely redesigned. The plane can accommodate from 90 to 150 HP engines. These planes are mostly used for photography, mapping, spraying, glider towing or bush flying. This super cub would truly be a great private plane to have, and fly. Not to mention if you have your commercial license, this would be the perfect plane for generating extra income in so many ways. The Pa-18-150 Super Cub came with a 150 HP Lycoming 0-320-A2A Engine. This model had a top speed of 130 mph, Cruise speed of 115 mph, and a stall speed of 43 mph. It has a fuel capacity of 36 gallons along with a 960 (fpm) foot per minute rate of climb . It has a Gross weight of 1750 lbs and an empty weight of 930 lbs. I only have a few hours in one, and the one I flew was not near as nice as this one, but let me tell you it was a pure pleasure to fly, and well the worth the money it cost me to rent. If you ever get the chance to rent one or just fly in one, I highly encourage you to do so. Another one of my favorite private planes would have to be the Grumman Cheetah. These are really super fun to fly because at the slower speeds you can slide the canopy open. But watch out it's a lot more noisy and windy than you might think! The first time I opened the canopy in flight it was like a small twister inside. My maps & flight guides started flying everywhere, you can be sure that never happened again. The one thing I remember most about the cheetah was when you come in for a landing, you do not want to be the least bit fast or it will float all night. Great picture of a Grumman Cheetah on a beautiful day. I have many hours in a Grumman Cheetah very similar to this one, and many great memories. This is definitely one of the better private planes to own. If you are looking for a very stable easy flying cross country plane to build time in, this is it. For more information on this amazing plane see Cheetah Specifications. Everyone who has ever owned one of these beautiful planes had the time of there life. Now this is not to say there were not issues, anytime you own equipment of any kind there is always upkeep and the occasional repair needed. The AA-5A Grumman cheetah comes with a Lycoming 0-320-E2G 150 hp engine. This specific model has a top speed of 136kts, cruise speed of 127kts, and a stall speed of 52kts. It has a fuel copacity of 37 gallons with a range of 428 nm with a rate of climb at 660 fpm. The gross weight is 2200lbs and it has an empty weight of 1323lbs. The service ceiling for this plane is 12,650 feet. My father, mother, and many of our friends had some great times flying with me in this plane. Another really popular post war airplane was the Aeronica Champ, they were also great little trainers. The 7AC Aeronica Champs are also wonderful private planes to own and fly. They are 2 place tandem seating, for the layman that means one seat in front of the other. The plane has convential gear or tail wheel and is made out of tube and fabric. This means the airframe is made out of welded steel tubing that is covered with fabric. These planes are very in-expensive to operate and fly. Check out this Video of Rudy performing takeoff & landings in the Aeronica Champ https://www.youtube.com/watch?v=v3DAqNfrj2s that is why I love flying so much. 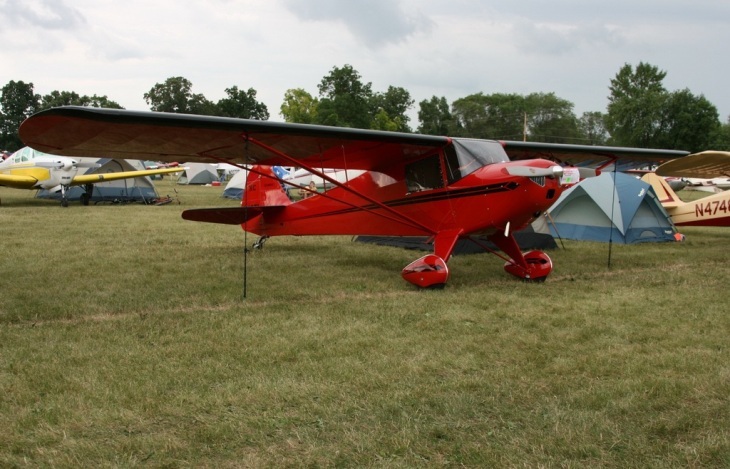 The 7AC Aeronca Champ airplane has a 65 hp Continental Engine and is a two place tandem seat plane. It has a maxium speed of 95 mph, cruises at 86 mph, and stalls at 38 mph. 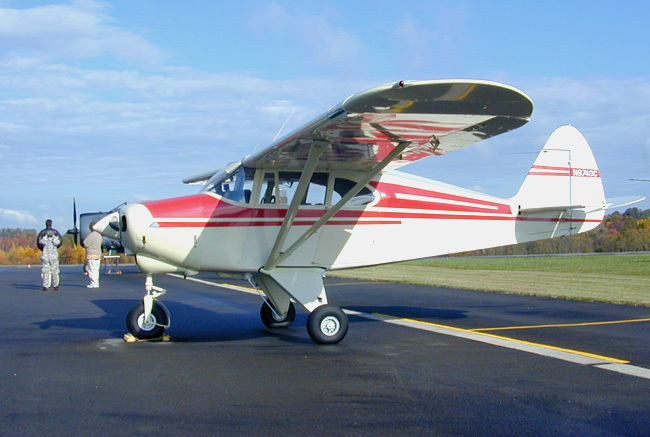 The Aeronca holds 13 gallons of fuel and has a 370 fpm climb rate. The planes Gross Weight is 1220 lbs and empty weight is 740 lbs. Once again this is a great first time plane to buy and build time in. There is an old saying when it comes to planes like this. When you have time to spare go by air. You may not fly very fast, but you will have the time of your life!! This is the Aeronca Chief Side by Side Two Place Airplane. The Aeronca Chief is basically the same as the Champ other than being side by side seating, and a little bit wider than the Champ. Like the Champ this Chief has a Continental 65 hp engine as well. The chief is a little bit slower as well. These planes were manufactured between 1946 & 1949 with about 1,962 being built. As far as Private Planes go it is hard to go wrong owning and flying the Piper Tomahawk. she is one of my favorites because in 1978 both my Father and I soloed in one. The Tomahawk was a great two place Trainer with a smooth running Lycoming 0-235 112 Hp engine. In 1978 both my Father and I started our flying lessons in this beauties. Both planes were brand new and so beautiful looking both inside & out. The planes were first introduced in 1977, as a 1978 model. Many Instructors and students really liked them because of there high lift rectangular style wing , and snappy responsive performance. 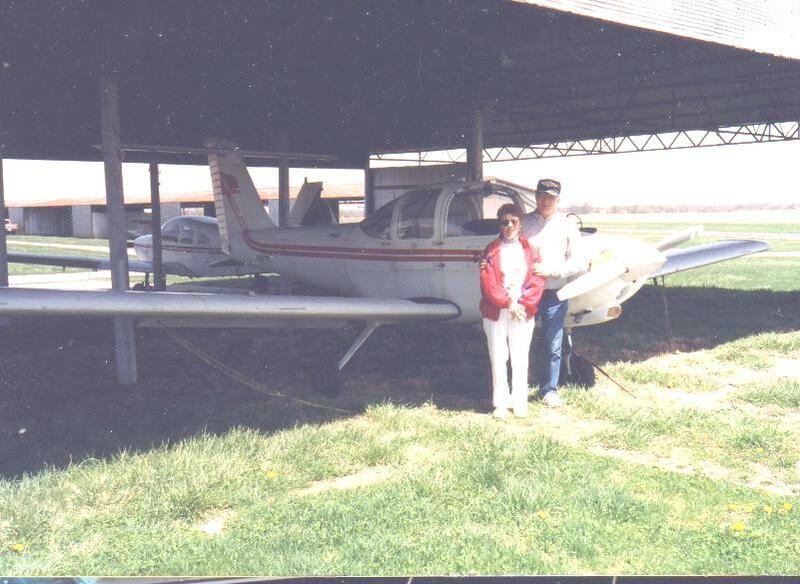 Picture of my Mother & Father beside one our old PA-38-112 Piper Tomahawks in 1994, that we trained in back in 1978. The Tomahawk had a top speed of 126 mph, the cruise speed was 115 mph and a stall speed of 56.5 mph. This plane has a range of about 535 miles, a service ceiling of about 13,000 and a 715 fpm rate of climb. The Tomahawk has an empty weight of 1,128 lbs and a max take off weight of 1,670 lbs. What gave the Tomahawk such a high rate of climb was the Rectangular wing platform design. In 1984 all production came to a close on the PA-38-112 Piper Tomahawk with a final count of 2,484 that were built. If you ever get the opportunity to ride in one or fly it, I would not hesitate to do so. With the low wing configuration, you have a superb upper visibility from the cockpit making it a pure joy to fly. Another one of the great private planes to own is the Ercoupe, it is widely considered the most fool proof craft ever built. They were originally designed with only a control wheel for all directional control interconnections and which even steered the nose wheel. Many pilots really love these planes because there so simple to fly. You would have to really work hard to get in trouble with this airplane. Over 6000 Ercoupe's were built and many different models from 1940 thru the 1970s until all production finally ceased for good. The Ercoupe like above is typical of the coupes you will see out there for sale today . The 415C Model had a Continental A-65-8 65 hp Engine with an 1800 TBO burning About 6 gallons per hour. The plane Cruises at 108 mph, Stalls at 56 mph and and carries 14 gallons of fuel. She has an Empty Weight of 800 lbs and Max Takeoff Weight of 1,260 lbs. The plane is very economical burning just 6 gallons of fuel per hour. Originally the Ercoupe were steel tube and fabric design, but later models like the one above have metal fuselages with fabric wings. 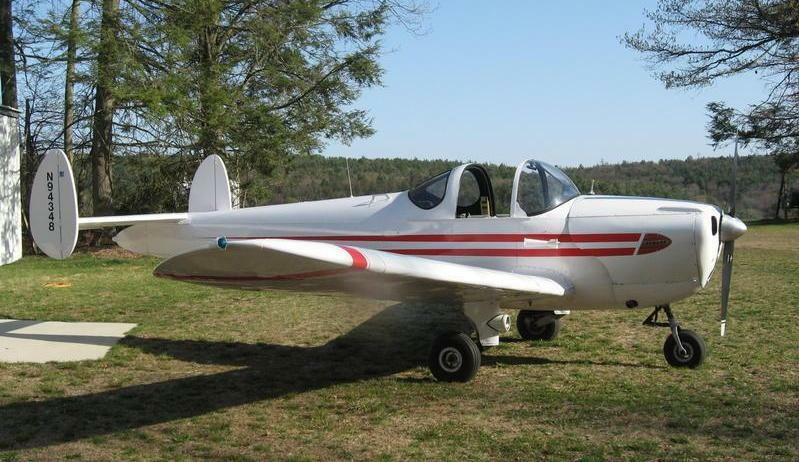 The Ercoupe is definitely one of the more safe and economical private planes to own and fly. The next of the private planes to own and fly is the Taylorcraft which originally began as a Piper. Mr Taylor was in business with William Piper but they both decided to split and go their separate ways. As a result the Taylor craft never enjoyed popularity like the Piper. But the plane was very well built and incorporated very unique features compared to it's counterpart the piper. In 1939 and 1940 there were three models produced the BL-65, BC-65, and the BF-65. The only difference between were the engines they each had. The Taylorcraft are Great performers, and if you manage to get one of the older 65 hp versions they only burn 4 gallons per hour. Their one of the most economical & inexpensive private planes you can own. They have a Continental A-65 engine with a TBO of 1200 hrs. They have side by side seating, a max speed of 112 mph, cruise speed of 96 mph and a stall speed of 38 mph. There Initial Climb Rate is 500 fpm and have a fuel capacity of 12 gallons with a decent range. Another unique and exclusive feature of the Taylorcraft is that it has a symmetrical wing design. Finally last but not least of the "best private planes to own a fly" is the Luscombe all metal airplane. These were great flying, very agile and responsive in the air. I have about 10 hours flying time in this type of plane and I found landings to be very straight forward. Over the years the Luscombe got a bad reputation for being tricky to land. This is absolutely untrue and no doubt been spread by those who really don't know. The controls are smooth and responsive, and landings were very straight forward. These old planes from the past are, and always will be a pleasure to fly!! Listed below are 8 different models to choose from, most of the differences being the type of engine they have, see below. Model 8C: Continental A-75 (75 hp) Fuel Injected. The Model 8F Luscombe with a C-90 hp Engine would be the perfect match for this plane. It has a TBO of 1800, along with a Max Speed of 128 mph, A cruise speed of 120 and a stall speed of 48. The Luscombe has a fuel capacity of 25 gallons and a rate of climb speed of 900 fpm. It has a Gross Weight of 1400 lbs and an Empty Weight of 870 lbs. This great looking Luscombe is another very economical and superb flying plane to own and fly. Well these are the top 10 Private Planes planes on my list to own and fly. I hope you have enjoyed reading about them and have the unique opportunity to either fly or ride in one. Who knows you may even own one of these fine planes one day in the near future. Remember if the desire is strong enough, and you want it bad enough, you will figure out a way to get it one day, dreams do come true through hard work and determination. Always remember one thing, most of these planes have a lot of age on them. Many have performed Aerobatics and been yanked and banked hard during there life. Make sure you have any airplane youre looking at thoroughly inspected by an A&P mechanic who is very familiar with that type & model private plane. Thanks for flying in to see whats new with "Private Planes", feel free to Bookmark this page and fly-by from time to time and see whats new. As always, stay safe and Happy Flying! !